60 sets of medals of the Youth championship of Ukraine were played out on February 1 — 3 in Kherson. The competitions became a selection stage for the European Championship, which will be staged in April in Cyprus. 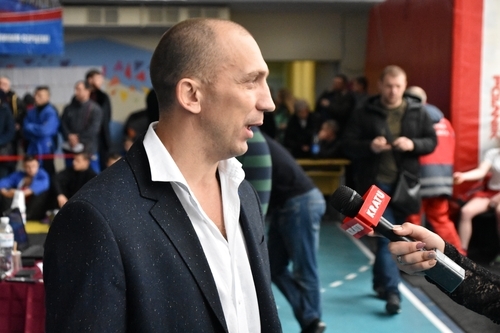 “We were the organizers of the national championship for the first time since Ukraine’s independence and we were aware of a big responsibility,” said Ivan Litvinenko, President of the Kherson Regional Sambo Federation. I would like to highlight that 500 athletes from 22 regions of Ukraine came to us, so we should be sure that the competitions were held at a high level. To follow the championship in our country and also abroad a live broadcast was organized and more than a dozen electronic and print media have covered the tournament. I am glad that the representatives of our region reached the podium, including “gold” medals. However, I think that the most important thing is to form a team of the strongest athletes embracing different regions, which will have good performance on the international arena.